In case you slept through 2010, let’s recap: Pat Metheny’s Orchestrion was a one-band-man project for the ages, wherein the guitarist fronted a large ensemble’s worth of instruments played using an elaborate system of robotics. 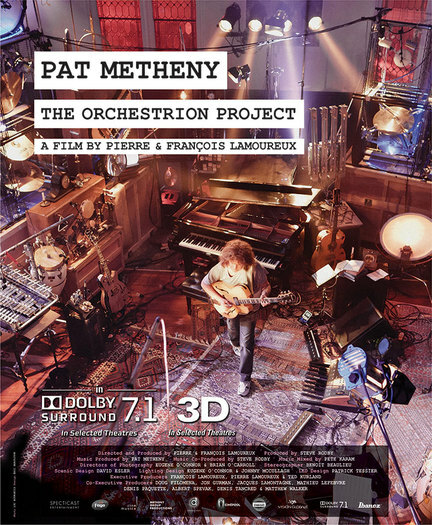 It was the sort of mad scientist’s undertaking that demanded visual documentation-hence Pierre and François Lamoureux’s The Orchestrion Project, a double-disc DVD set or 3D Blu-ray that is undoubtedly spinning in a home theater store near you. The biggest surprise here is that this isn’t a traditional concert flick; instead, Metheny performs his Orchestrion tour repertoire on the heels of that trek, in a Brooklyn church disguised as a soundstage. While the filmmakers could’ve easily gone effects-crazy or spent too much time homing in on the technology, they strike a deft balance between the central performer and the pumping, twitching solenoids and pneumatics. 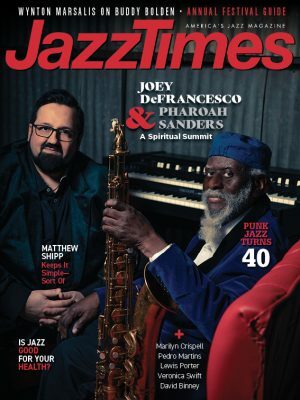 The bonus features aren’t a great incentive, and the machines still can’t swing like Antonio Sanchez, but as far as being a pristine representation of a major jazz event, The Orchestrion Project is an essential keepsake.